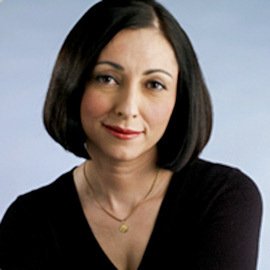 BRANTFORD – Marina Nemat was just 16 when she was arrested in her hometown of Tehran, Iran. She spent the next two years in a political prison where she was tortured and came close to execution. In 1991, Nemat came to Canada, and now, more than three decades later, she is a bestselling author and a leading speaker on human rights. Nemat — author of Prisoner of Tehran and After Tehran: A Life Reclaimed, which cover her experience before, during and after her time as a prisoner — will be the keynote speaker at the Human Rights and Human Diversity Conference at Laurier’s Brantford campus March 8. Nemat will be speaking in the SC Johnson Building, room 127 from 1 p.m. – 2:30 p.m. The HRHD conference, which is being organized by Laurier’s Human Rights and Human Diversity Students’ Association, will feature presentations from students and faculty in addition to Nemat’s keynote address. Students in the Human Rights and Human Diversity program will present to their peers on an issue they’re passionate about, while Catherine Stewart and Stacey Wilson-Forsberg, professors in the department, will lead specific workshops. Stewart will lead a presentation on International Women’s Day – which is celebrated globally on March 8 – exploring the history of the day and focusing on the topic of sexual assault. Wilson-Forsberg’s workshop will focus on the Human Rights and Human Diversity program, informing students about potential career paths in the field following graduation. Stewart’s workshop will take place in the SC Johnson Building, room 127 from 11 a.m. to noon, while Wilson-Forsberg’s will run from 4 p.m. – 5 p.m. in the Carnegie Building, room 206.